Every year more than 3 million reports of child abuse are made in the United States. It’s a terrible epidemic that we at Childhelp are dedicated to put an end to. To do this, we need to first increase awareness of the issue itself. What is child abuse? Child abuse is when a parent or caregiver, whether through action or failing to act, causes injury, death, emotional harm or risk of serious harm to a child. 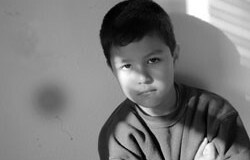 There are many forms of child maltreatment, including neglect, physical abuse, sexual abuse, exploitation and emotional abuse. Read through the sections below on the different types of child abuse to learn the signs. If you see these signs in anyone you know, or are a victim of child abuse, get help right away. Physical abuse includes striking, kicking, burning, biting, hair pulling, choking, throwing, shoving, whipping or any other action that injures a child. Even if the caregiver didn’t mean to cause injury, when the child is injured it is abuse. Physical discipline from a parent that does not injure or impair a child is not considered abuse; however non-violent alternatives are always available. Violent themes in fantasy, art, etc. When a parent or caregiver harms a child’s mental and social development, or causes severe emotional harm, it is considered emotional abuse. While a single incident may be abuse, most often emotional abuse is a pattern of behavior that causes damage over time. Children need enough care to be healthy and enough supervision to be safe. 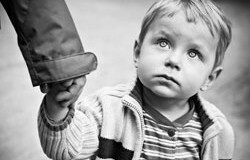 Adults that care for children must provide clothing, food and drink. A child also needs safe, healthy shelter, and adequate supervision. Children require enough affection and attention to feel loved and supported. If a child shows signs of psychological illness, it must be treated. Some states do not prosecute parents who withhold certain types of medical care for religious reasons, but they may get a court order to protect the child’s life. Parents and caregivers must provide children with appropriate treatment for injuries and illness. They must also provide basic preventive care to make sure their child stays safe and healthy. Parents and schools share responsibility for making sure children have access to opportunities for academic success. There is no “smoking gun” for most child neglect. While even one instance of neglect can cause lifelong harm to a child, neglect often requires a pattern of behavior over a period of time. If you see any signs of abuse in someone you know, or if you yourself are involved in an abusive relationship, get help right away. 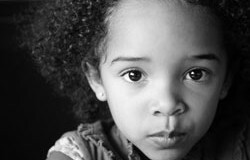 Our Childhelp National Child Abuse Hotline is a 24-hour hotline with resources to aid in every child abuse situation. All calls are confidential. Call 1-800-4-A-CHILD (1-800-422-4453) for help. For additional resources like Risk Factors and Protective Factors or Handling Child Abuse Disclosures, visit our Story & Resource Center. Every dollar donated can help make a difference in a child’s life.